Solar ultraviolet (UV) radiation induces a number of pathologic conditions in mammals including erythema, edema, sunburn cell formation, immunosuppression, skin cancer and cataracts. Animal models have been invaluable in the study of the underlying mechanisms involved in the induction of these pathologies. Furthermore, animal-based studies have been very useful in determining efficacies of preventive and therapeutic modalities. As cancer formation is the result of an interactive series of events, the use of whole animals is essential to the study of this process. 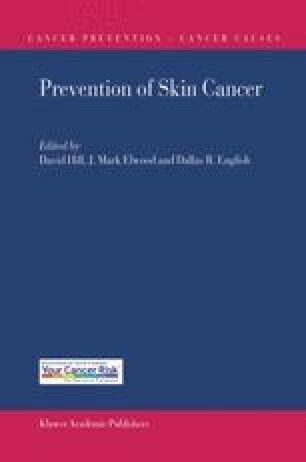 The following presents the results of animal studies that have provided significant understanding of photocarcinogenesis.